Don't let the cute dog pics fool you. BarkBox knows the trick to keeping its customers engaged. 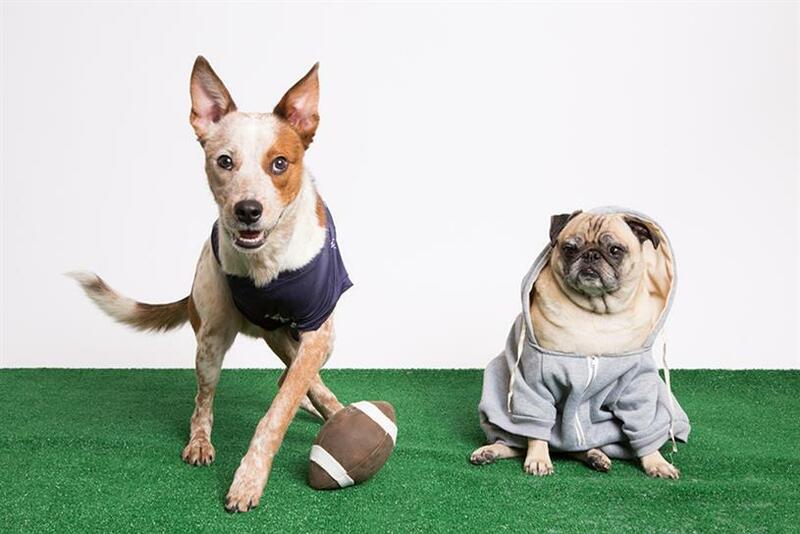 The day before the Super Bowl—BarkBox, a monthly subscription service that delivers treats and toys for dogs—posted a video of two dogs rolling around on the ground, their bliss having nothing to do with the big game. In the week that followed, that post generated more than 27,905 shares on Facebook, placing the brand not too far behind the quantity of shares Airbnb, Budweiser, Hyundai and Mr.Clean saw after posting their Super Bowl spots, according to Unmetric. It’s a pattern that the brand has seen all year, overpowering far larger brands and its competitors with the high engagement it sees on social media. But how has a niche, five-year-old subscription service gathered an audience of 2.4 million on Facebook, 1.3 million on Instagram and more than 75,000 on Twitter? According to Stacie Grissom, head of content at BarkBox’s parent company, Bark & Co., it’s all about the brand’s interactive, humor-driven content, access to a substantial group of "influencer dogs" and a willingness to experiment on new platforms. BarkBox has social media to thank for the 38 million toys and treats it has sent to hundreds of thousands of subscribers. "If you took out social media, Bark and Co. wouldn’t be a company," she said. "We've really invested in entertaining people and engaging with people in deep ways by talking about their dogs and showing them other people's dogs." Grissom is the first to admit that being a dog-centric company gives BarkBox an unfair advantage online. Even the most devoted cat person will still share the occasional picture of a Chihuahua wearing a black leather jacket. "Dogs are one of those things that aren't like political discussions," said Grissom. "People love them no matter if you're from the Mid-West or the East Coast or if you're right-brain, left-brain. It's a unifying topic that people love to talk about." So when other brands were promoting political messages during the Super Bowl and receiving backlash for doing so, BarkBox stayed true to its goal of simply being the place to go to for amusing dog posts. During the game, the brand posted a video of dogs that look like Patriots’ quarterback Tom Brady and generated nearly two million views and 16,786 shares. It would be easy to dismiss BarkBox’s social success as a side effect of being a pet company, but it still sees far greater engagement online than competitors Petsmart and Petco, which also feature pooches in their posts. Between Jan. 1 to Feb. 11, BarkBox saw a significantly higher number of likes, comments and shares on Facebook, where it posts at least six times a day, according to Unmetric. Twitter is another platform on which BarkBox shines. Despite not having as many followers as Petsmart or Petco, it still generates the most replies, retweets and favorited tweets. BarkBox makes up for its smaller Twitter following on Instagram, where it has twice as many followers than the major brands combined. The same is true of other monthly subscription services like Birchbox, Blue Apron and Dollar Shave Club; BarkBox towers above them all on social. And its growth hasn’t been stagnant. Over 2016, BarkBox’s Facebook following grew by 21 percent, averaging six percent per quarter, and on Instagram, it grew by 15 percent, averaging 4.9 percent per quarter, according to Rob Schutz, VP of Growth at Bark & Co.
To draw this size of an audience, the content has to consist of more than random cute dogs said Schutz. In a study around owners’ passion for their dogs, BarkBox found that people seize opportunities to show off their dogs, and typically post content about them at least once a day. "We've been able to tap into that in a powerful way and give more of a call-to-action around what people are already doing." For example, on New Year’s Eve, BarkBox challenged its followers on Facebook to dance with their dogs. People responded by describing how they have danced for their dogs and posting their own videos showing off their moves. The video saw 3.4 million views, 24,000 reactions and 22,900 shares. Such challenges produce content that BarkBox can then recycle for its daily posts. BarkBox also sees a lot of social activity around the time its monthly boxes are delivered. Customers share photos and videos of their dogs, too eager to rip open the boxes to get to their toys. "We’ll look for the best creative from that," said Schutz, "and feature those dogs in a lot of our ad campaigns." BarkBox, which is based in New York City, has a social media staff of 13 people, and doesn’t work with an ad agency. So its frugal approach to content helps the company maintain a larger social footprint than it could otherwise have. BarkBox has also forged relationships with so-called "influencer dogs" like Miss Bella and Master Bailey, two miniature dachshunds that enjoy dressing up in silly outfits and have more than 48,000 followers on Instagram. There are now 700 dogs in what the brand calls its "BarkPark." Usually, the brand offers these members some amount of credit on BarkShop, an online ecommerce site Bark & Co. started so dog owners could purchase many of the surprises that come in each monthly box. The influencer dogs range from pit bulls to poodles, and have 50 followers to millions. "It's great for us because we get to have amazing dog content that is new and fresh and not the same cycle of things you've seen on Reddit." said Grissom. "It's never going to be as polished as a million dollar Target campaign, but it will have the authenticity and the genuine things that people actually connect with from ad campaigns." BarkBox also has a history of experimenting with new social platforms early. In 2011, for instance, BarkBox was an early adaptor on Instagram and quickly claimed multiple dog-related handles. Today, the brand still has six active profiles it uses to test out material on consumers and compare results without revealing that they were started by the same brand. Along with @barkbox, there’s @dogs with 591,000 followers, @puppiesofinstagram with 486,000, @BarkPost with 147,000, @barkshop with 64,400 and @BarkLive with 8,100. "We put a lot of similar content up there, but some of them are strategically different from each other," said Schutz. "It's really interesting to see how we collect different audiences on different accounts." In September, to promote the brand’s first book "Dogs and Their People," it hosted its first Facebook Live session, with a pug dressed in a bow tie getting belly scratches while classical music played in the background. The live video brought in more than 600,000 views, 14,000 reactions and 9,795 shares. Always with an eye to the future, the brand—not surprisingly—already has a bot. "One of the things that we are thinking on in 2017, and what we've seen from 2016, is that conversational commerce is something that we feel would be really important said Grissom. In December, the brand came out with a dog bot it created with Reply.ai to interact with consumers on Twitter. Dog lovers can direct message @BarkBox to get help and dog memes from a dog. In its first month, the bot responded to more than 2,400 messages.